People seem to want to know how I make these things. I guess I’ll share, but it will take me some time, I’m slow. First thing you need is some nice hand-dyed wool roving. 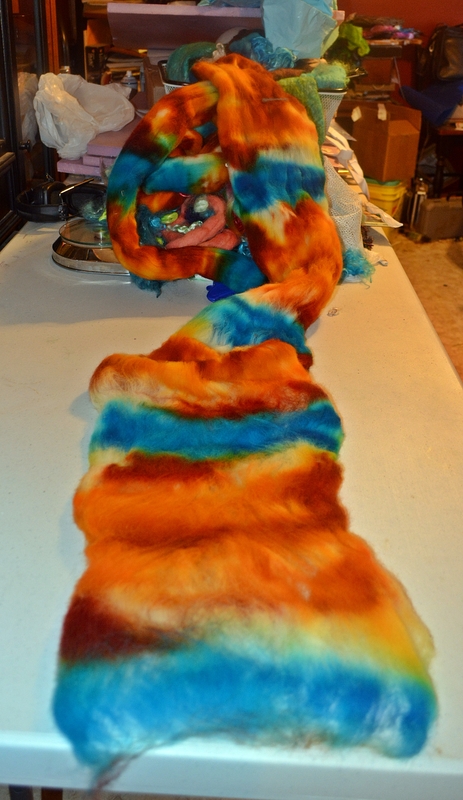 Here is the roving that I dyed. I am going to felt this into a scarf. It is Polwarth wool – very soft, but with a longer staple than Merino. I love it because it’s beautiful to spin with, super soft and fluffy. I like fluffy. 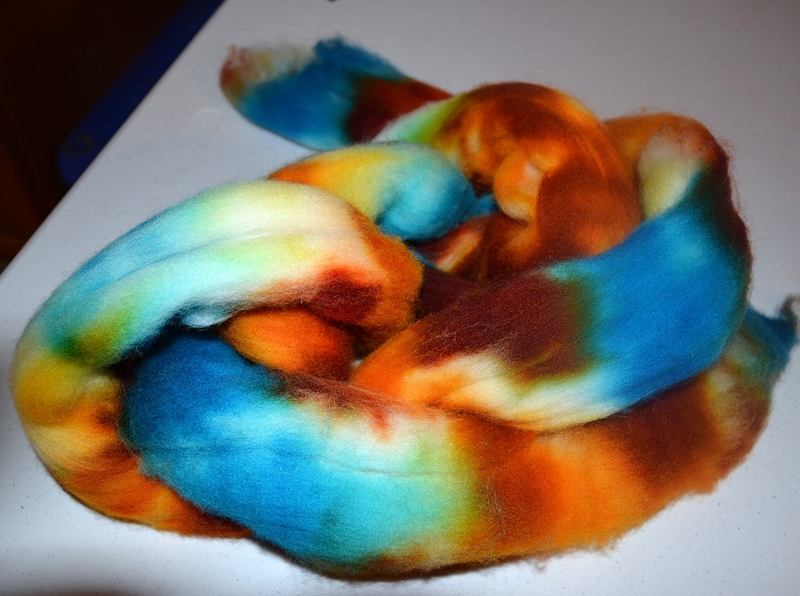 If you are interested in buying hand-dyed roving from me. I charge $5.00 an ounce plus shipping for hand-dyed Polwarth. You only need about 3 ounces, so $15.00 will do it. Now, I have a nice, 8 foot long table that I lay that roving out on – only I don’t use the whole table, I do a bit, roll it up and do a bit more. This entry was posted in Cobweb Felted Wool Scarf, Tutorial and tagged cobweb, roving, scarf, tutorial, wool. Bookmark the permalink. Oh, and I can dye roving about any color you might like, but dyeing is not an exact science, so the colors do vary from one order to another.